If you're looking for a shower gel that will really make you feel luxurious and refined, then you absolutely must try Acqua di Parma Colonia Bath and Shower Gel. This delightful bottle is filled with a light and refreshingly fragrant gel that somehow manages to cleanse the skin and soothe the mind simultaneously. The fragrance is made up of citrus top notes, floral heart notes and woody base notes with hints of spice. The actual notes are bergamot, citrus, lemon, bitter orange, sweet orange, English lavender, Bulgarian or Damascene rose, verbena, clary sage, rosemary, cedarwood, patchouli, sandalwood, vetiver and oakmoss. This sounds a bit scattered, I know. But it's actually quite balanced and easy on the senses. Luckily, the shower gel lathers quite nicely. Formulated with wheat germ and coconut oil, it cleanses and conditions unbelievably well. And my skin has never felt softer! 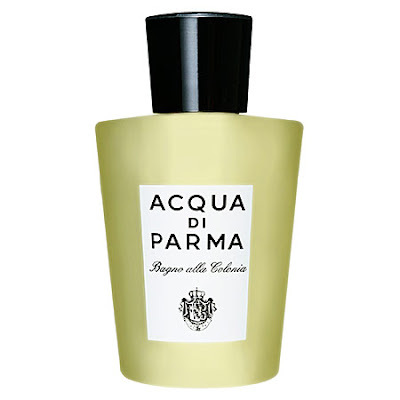 Acqua di Parma Colonia Bath and Shower Gel retails for $46 at sephora.com.